In front of two planes, there is one. In behind two planes, there is one. In between two planes, there is one. How many planes are there? 3 planes. If there are three planes in a row, in front of two, there is one, in behind two, there is one, and in between two, there is one. 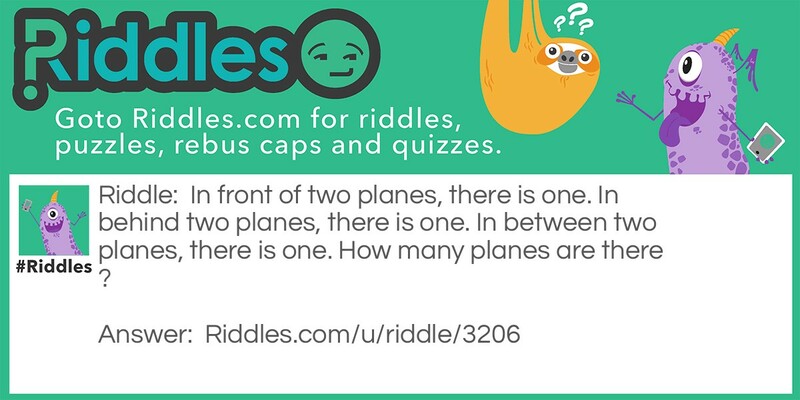 The Mysterious Planes Riddle Meme with riddle and answer page link.